Features a bike handle and solid drive shaft which offers end users more flexibility in mowing applications. If you’re a landscaping professional who uses their trimmer for mowing applications, grab the FS 90 bike handle trimmer from STIHL. Its bike-handle design adds greater comfort and leverage when performing long trimming jobs with wide, sweeping motions. This low exhaust emission, straight-shaft trimmer is also a great choice for environmentally conscious users – without sacrificing engine power. 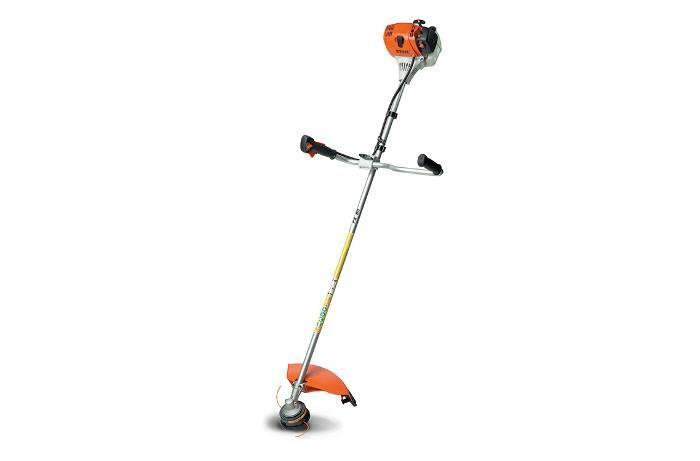 And when the terrain gets thick, this trimmer’s solid drive shaft accepts a wide range of heavy-duty cutting heads, including metal blades, for maximum versatility.